One of the most exciting moments in putting together the Preserve the Beartooth Front video, which will be released on this site Wednesday, was doing a flyover of the Montana side of the Beartooth Front. Today we have a video of that flyover, one of several videos of outtakes from the main video that we’ll be releasing over the next few weeks. We took off from Columbus airport at first light. The morning was clear and there was no wind or turbulence, enabling us get excellent footage. We crossed over the Yellowstone and headed southwest along the Stillwater (1). We passed Absarokee and headed toward the Beehive and Nye, getting an aerial view of the Hertzler impound and the Stillwater Mine. We turned and headed southeast along the Front, passing the Pinnacles as we headed toward Fishtail (2). 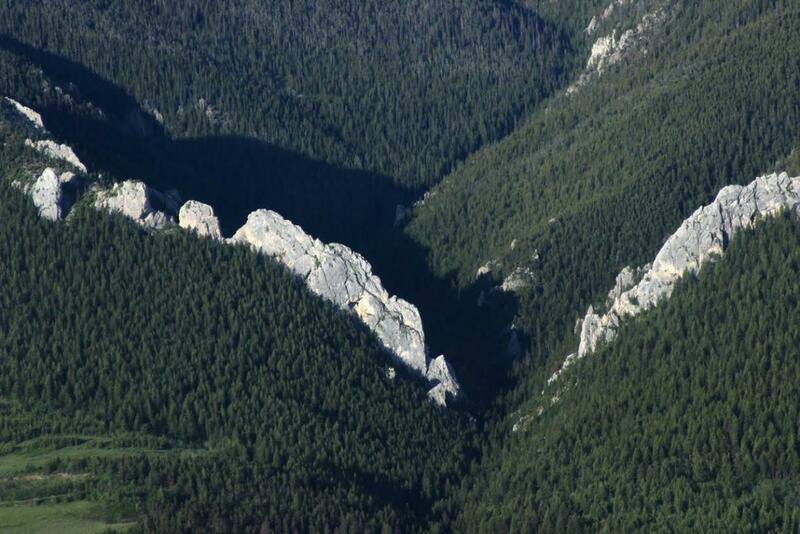 We crossed the West and East Rosebud and had a great view of Red Lodge and Rock Creek as we passed overhead. 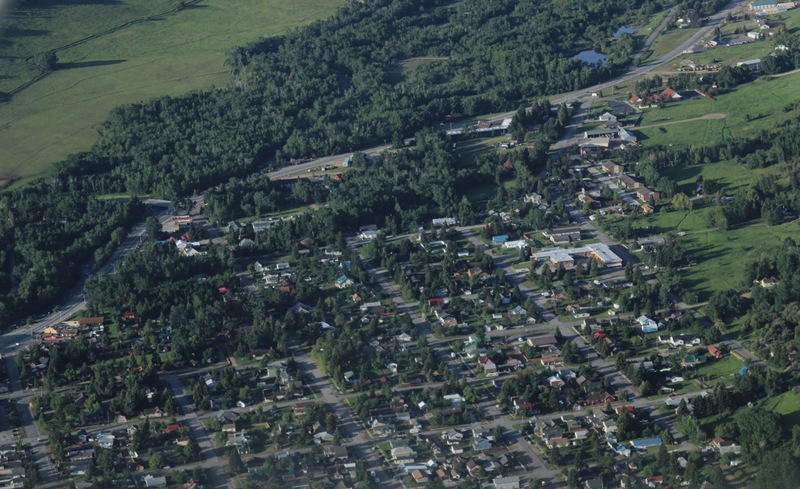 Aerial view of Red Lodge. Photo by Gage Peterson. From Red Lodge we passed over Belfry, where we got a view of the ECA well, and then Bridger (3) and the Clark’s Fork Yellowstone before we headed back to Columbus. We took a detour and went past the front, deep into the Beartooths. From the ground it’s impossible to see the depth of the range, which takes you all the way to Yellowstone Park. The most enduring impression from the trip was the significance of water. The five rivers I mentioned are all magnificent, and they are clearly the source of life in the area. Houses and towns and lush vegetation cluster along their banks. Just a few hundred yards away is brush, and population becomes sparse. Water is the key to life along the Beartooth Front. It must be protected to preserve our way of life. Our pilot was Bob Hilten, who spent 40 years as a professional pilot, and who has settled in Columbus, which he regards as the most beautiful spot in the world. He and his wife Lynn, also a commercial pilot, are prolific hikers, bikers and horseback riders through the area, and so Bob has an encyclopedic knowledge of the land and water. His narration on the flight was so great that we recorded it and included it as the soundtrack to the video below. This entry was posted in Community Organization, Politics and History and tagged Beartooth flyover, Bob Hilten, Preserve the Beartooth Front video. Bookmark the permalink. 1 Response to The Beartooth Flyover video!